I recently had a chat with Heidi from Australian expat band Cloud Control, who has been announced as one of the ambassadors for the prestigious Australian Music Prize for 2011. We talked about the prize itself, setting fire to Arcade Fire’s stage, chatting with Win Butler, Cloud Control’s relocation to the UK, Tame Impala’s A-list celebrity fanbase, plans for a new Cloud Control album, and of course that legendary Splendour stampede. 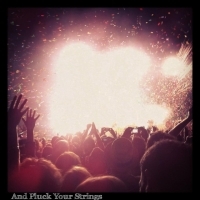 I can be reached at andpluckyourstrings@gmail.com. I cannot get around to all the music that I am sent but I will do my best. All music posted here is designed to promote artists, however will of course be removed upon request.